Ron Mulvey has been actively painting the Canadian Landscape since 1980. His landscapes are done in watercolours, acrylics, and oils. 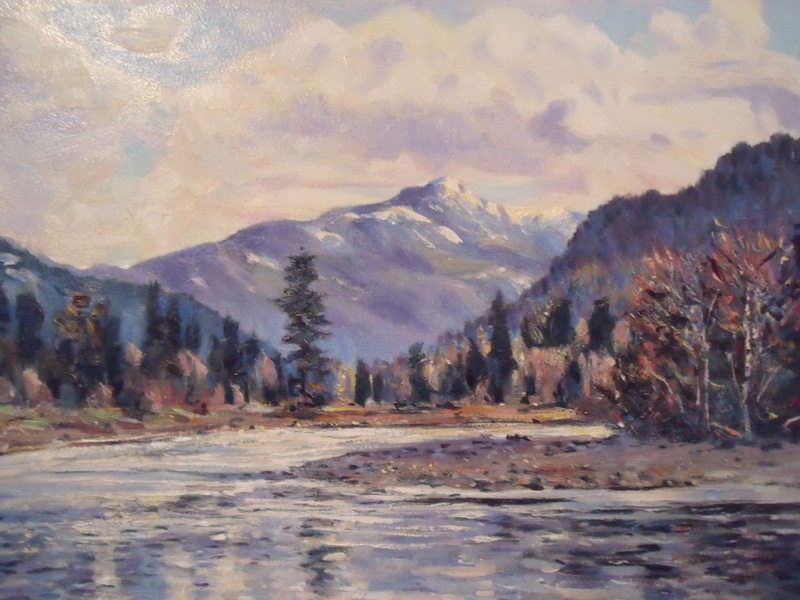 He now resides in the Slocan Valley and you can see his work at the Riverstone Gallery which is located 6 minutes from the Slocan Valley Rail Trail in Passmore. Ron can be seen sketching along the rail trail throughout all the seasons. Many of his paintings depict the pristine appeal of the landscapes along the trail. You are welcome to visit his studio by appointment.